StormChamber systems are quick, easy and cost-effective to install. 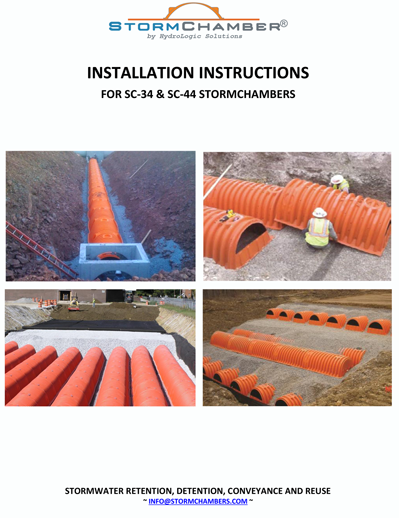 Unlike most other plastic chamber systems, ours does not require additional cost for purchase and installation of header pipe systems and manholes with weirs. This also eliminates the associated extra excavation, stone, compaction, back-fill and grading. "We were amazed by the simplicity of this system and have appreciated the support from the Soleno team during the entire project. We are already looking forward to designing another project using the StormChamber!" In order for us to serve you better, it's preferable that you call us. If you prefer to submit information online, please click the button and complete the form. If you have questions and would like to speak with a StormChamber representative directly, please call 877-426-9128. Looking for a rep in your area? Please give us a call.